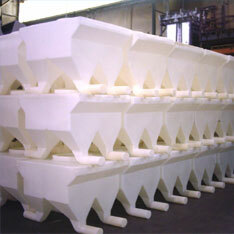 Granger is internationally renowned for its innovation and pioneering designs in the rotomolding industry. 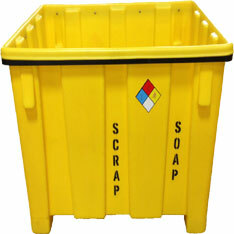 Synonymous with integrity and high quality, Granger Plastics is your partner for Rotational Molding solutions! Granger Aerospace provides a number of leading aerospace and defense solutions for a number of leaders in the private and public aerospace, aviation and defense sectors. 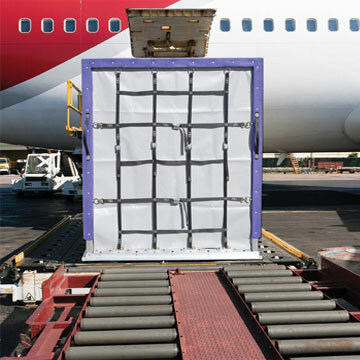 Granger Aerospace offers a line of innovative ULD Containers. Granger has produced industry leading tornado shelters for nearly 2 decades. Exceeding FEMA and ICC 500 specifications, the Granger ISS Underground shelter offers near absolute tornado protection for your family! 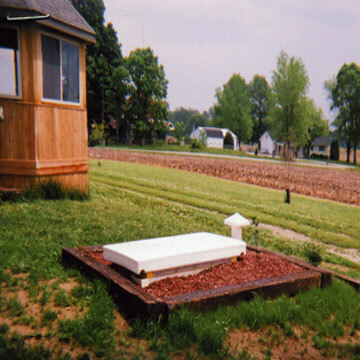 Beautiful, durable theft deterrent burial urns & cemetery flower vases. Just a few of the additional products, services and capabilities of Granger Industries. More questions? Please feel free to Contact Us! Granger Plastics Company operates an in-house Mold shop to build fabricated aluminum molds and fabrications for its customer base. 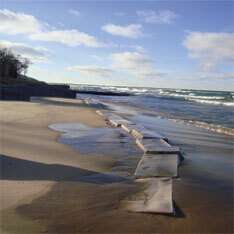 Granger manufactures the patented, proven natural solution to beach erosion, The Sandsaver. Durable long term protection and renourishment. 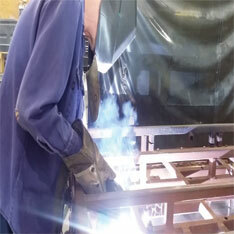 Over 90% of Granger's Rotomolding buisness is custom rotomolding work for OEMs and other manufacturers. Custom Rotational Molding leader. Granger produces a number of custom plasic pallets for a wide variety of industry leaders. 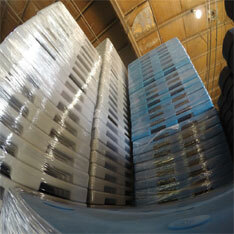 These re-usable pallets offer tremendous savings! Granger is internationally recognized for its design & engineering talents & capabilities. 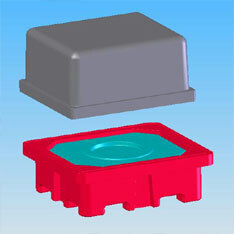 Granger offers in-house design & engineering to its clients. Granger has molded thousands of custom tanks for a variety of industries including lawn & turf, chemical solutions, material handling and more!